It was a 16 hour day of traveling, 4 layovers – half an hour of flying followed by 4 hours in the airport, then another bit of flying, etc…Still, since we are going to Victoria, B.C., it’s hard to complain. Especially when you consider the many others one could be going. 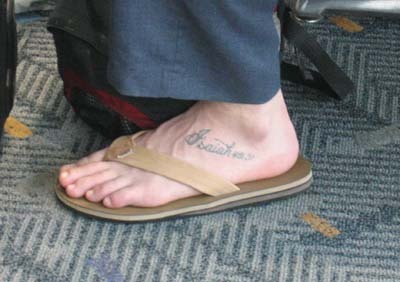 During one of our layovers I looked up from my computer and noticed that the guy in front of me had a bible verse tattooed on his foot. This may shock you, but I don’t travel with a bible, and I didn’t have internet access (and I am paying by the minute right now), so I don’t know what this verse says, but I’m eager to find out what someone would have tattooed on their foot. 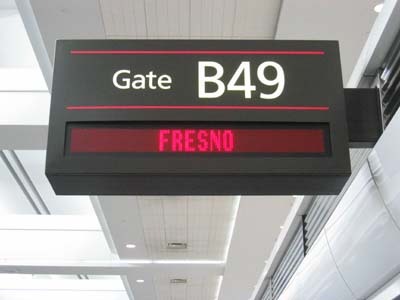 I’ll keep you posted. After we made it through customs in Vancouver, we had one of those major layovers. 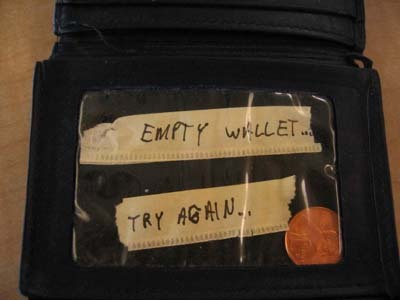 I decided to move into my new wallet. I got a new one at home and brought it with me. Sitting at a little café table, I emptied out the contents of my old wallet only to find, to my equal horror and excitement, that there was a little pot bud in the bottom. Horror, because I’d just gone through customs thinking I had “nothing to declare.” Excitement for obvious reasons – I HAVE POT! HURRAY! 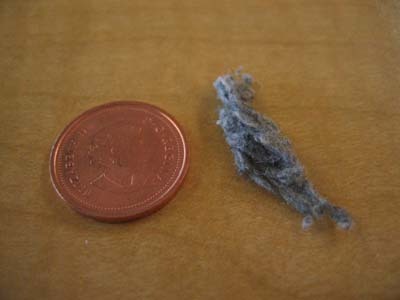 Yes, it was a piece of lint, bringing relief and disappointment, for reasons you now understand. After I cleared out my wallet, I put a little note in it and left it in the bathroom for someone to find. Questions: 1. Did you ever discover what the Bible verse said? Is that a picture of the foot with the verse? Have you tried a magnifying glass? 2. 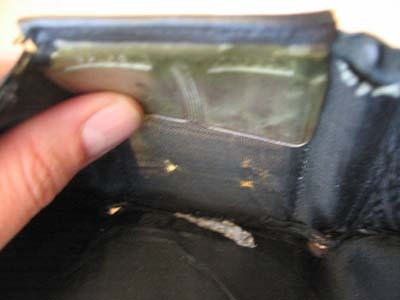 What were the words of the note you left in your old wallet? 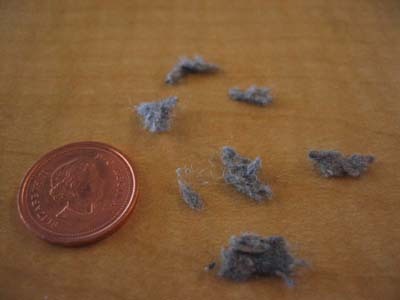 Too bad…in a good way….that it was lint I mean…did you leave that in your old wallet? devious….just devious, and too funny!